In this webcast talk by Pat Shaughnessy author of Ruby Under a Microscope, we'll dive into Ruby internals and take a close look at an ugly topic: garbage collection. How do these Ruby VM's allocate memory for new objects? How do they identify unused objects? How do they reclaim memory from garbage objects, allowing it to be used again? You can learn a lot about someone from their garbage. Using a series of diagrams, we'll visually compare and contrast the complex algorithms these very different Ruby implementations use. What computer science research is behind each garbage collector? We'll also look at the GC changes planned for the upcoming Ruby 2.1 release. 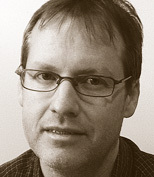 Well-known for his coding expertise and passion for the Ruby programming language, Pat Shaughnessy blogs and writes tutorials at http://patshaughnessy.net, and develops Ruby applications at management consulting firm McKinsey & Co. Shaughnessy is a regular presenter on the Ruby conference circuit, and his articles and presentations have been featured in the Ruby Weekly newsletter, the Ruby5 podcast, and The Ruby Show.